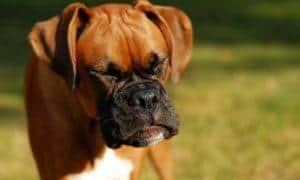 Reports about pet illnesses and deaths allegedly caused by Chinese jerky style pet treats have been a recurring source of fear for American pet guardians. 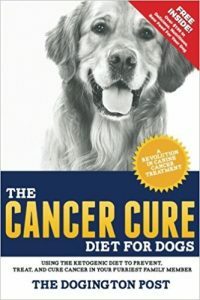 Mainstream news coverage and social media are understandably focused on the thousands of dog illnesses and hundreds of deaths linked to the Chinese treats made primarily from chicken, duck, and sweet potato. But despite the fact that these complaints date back to 2007, there is still no proven cause for the “mystery illnesses,” and no stop sale action has been taken by the U.S. government. Any enforcement or investigation into these events is severely limited by the lack of U.S. government authority to conduct investigations at the source in China. 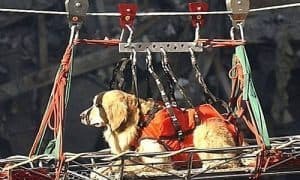 The U.S. response as stated in Food and Drug Administration (FDA) documents is that, absent hard evidence of a scientifically determined cause of the illnesses and deaths, these pet treat products from China can’t be pulled from the U.S. market and the long term investigation will continue. NO American made pet foods or treats have been implicated in these deaths or illnesses linked to Chinese jerky pet treats. 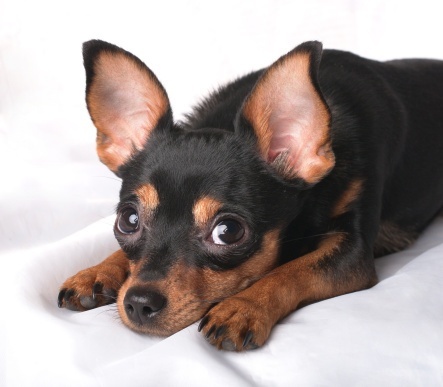 This is not to say that the U.S. pet food and treats industry is without problems. American companies have been subject to several recalls, with a flurry of new actions taking place in the past year. These recalls are unrelated to the Chinese “mystery” illnesses and have been based on potential salmonella contamination, which is not life threatening for dogs or cats. 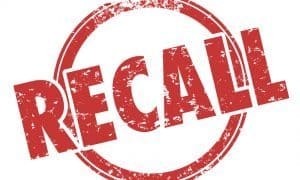 No pet deaths or serious illnesses in pets or humans have been linked to these precautionary recalls of products made by American manufacturers. But justifiable concerns about pet health fueled by reports on the Chinese treats have subjected U.S. manufacturers to suspicion of guilt by association. This chain of reasoning lacks coherent links, and thus leads to a faulty premise: that since some pet treats from China are linked to serious illness, all treats, regardless of origin or composition, including those made in the U.S.A., should be suspect. This mindset questions the sincerity and ethics of all of us who have dedicated our careers to the betterment of companion animals through ethical and conscientiously formulated pet nutritionals. It’s a broad tarry brush that sheds doubt on the safety of every pet snack. Now our government has stepped over a new line by issuing “proclamations” about how we should or shouldn’t feed our pets. An FDA bulletin about the Chinese jerky treats released in October of 2013 expressed the opinion that “Treats Are a Treat, and Not a Necessary Part of a Balanced Diet.” Check out the entire bulletin here . NO distinction is made between safe and wholesome American-made pet treats and those imported from China. By inserting this language suggesting removing ALL treats from the pet diet into a bulletin specific to the Chinese treat issues, our government is putting American businesses at risk. It’s a grossly unfair overreach, and in this writer’s opinion is also nutritionally unsound advice. Dogs or cats accustomed to healthy between meal snacks in appropriate quantities could suffer from decreased energy, lethargy, or even depression if all supplemental nutrition “outside the bowl” of the main daily meal is withdrawn. It’s all about balance, common sense limits on the amount of treats given, and the quality of snacks and treats. But the overriding issue is freedom to feed our pets as we see fit. Of course, it’s true that the survival of a dog or cat does not depend on snacks given “outside the bowl” of the main meal. But safe and healthy snacking contributes a great deal to a pet’s energy level, as well as fostering emotional bonding with humans and serving as an important adjunct to training. This isn’t the only example of a “nanny state” mentality creeping into government proclamations on the care and feeding of our companion animals. 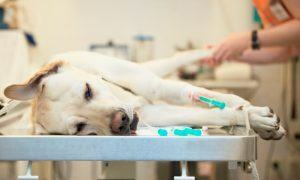 A new bulletin was recently issued warning consumers of the hazards of raw feeding for dogs and cats. Raw feeding is a preference that has very dedicated adherents. Could a ban on commercial raw diets emerge from this shot across the bow? A further gray area in animal feeding regulations is the absence of a legal agency of record that regulates pet supplements including vitamins, minerals, and “nutraceuticals” such as glucosamine joint care supplements, and herbal remedies. Recently, articles have appeared in the press that call every supplement’s value into question. The lack of a defined federal approval procedure for thousands of supplements available for companion animals makes this industry very vulnerable to serious and potentially stifling new regulations or outright bans. Just as we have the freedom to make supplements a part of our own diets, shouldn’t we have the freedom to do so for our companion animals without undue government intrusion? 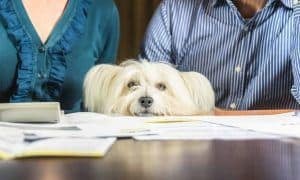 With all of this in the background, the FDA is circulating draft rules that would impose sweeping new regulations and controls over American companies the pet food and treats industry. As evidenced by internet chatter, the kneejerk reaction is to impulsively support the government’s ambitions to regulate the domestic pet nutrition industry more than tobacco and along the same lines as the pharmaceutical industry. The sad fact is that the REAL threat here, the alleged toxicity of Chinese jerky treats, will not be changed one iota by oppressive new regulations on American producers. A calculated decision has been made NOT to stop sales of the Chinese treats, whether because of a lack of political will or fear of repercussions from our largest creditor, China. So rather than focusing on the crucially important responsibility of protecting us and our animals from toxic and adulterated foods, the “big government” response is to come down hard on our own businesses while telling consumers HOW and WHAT to feed our animals. Let’s be clear: EVERYONE wants food safety and we applaud our government for protecting us. But this expansive insertion of government regulation and bureaucracy into yet another private industry isn’t something we should take lightly or applaud without understanding the implications. In this writer’s opinion, this change would benefit the largest multinational corporations in our industry while putting innovative smaller manufacturers at a decided disadvantage. Government bureaucracies and mega business are symbiotic entities, and their shared sustenance is a massive diet of paperwork. Most of this is only loosely related to the safety of food for our animals. The healthfulness and biological suitability of foods for canine and feline nutrition has nothing to do with the regulations proposed. Nothing in the proposed regulations suggests limiting or banning chemical preservatives, irradiation, GMO ingredients, pesticide residues, colors, or flavors. So as smaller companies struggle to invest in making exceptional products with the best ingredients, without the cost savings of mass production, they will face new costs in meeting the increased regulatory burdens. 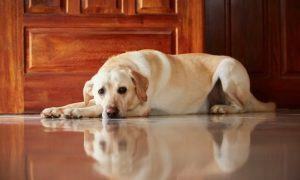 This could very well lead to reduced availability of the healthiest nutritional products for pets! How does that help companion animals? So could there be a future where “big brother” tells us when we can give our pet a snack or a vitamin? Or limit us to feeding “federally approved commercial diets” unless we cook for them ourselves every day? No one can predict the outcomes. But history tells us that once the jaws of a massive bureaucracy clamp down on an industry, it is almost impossible for the public to get them to relax the grip on their newfound prey. Please join the growing community of people and pets at Clear Conscience Pet by liking their facebook page or visiting their website. I respectfully disagree with you on several points. First, the suggestion that the all treats are painted (or tarnished) with the same brush because of treats that originated in China is justifiable, not liable. I’ll tell you why – processed meats are exempt from COOL laws. US companies can (and do) say their treats were “Made in the USA”, when in fact they may be imported from China. Again: there is no law requiring them to label the country of origin on those treats. Is it unfortunate that honest US companies who really do manufacture their jerky right here in the USA get thrown under the bus – of course it is unfair. But the law is what it is. Is it a good law? Of course not. Second, you mention a burdensome and oppressive police-like state of the FDA, including a sweeping condemnation of the FSMA proposed rules. Nothing could be farther from the truth. The FDA is impotent and ineffective at protecting humans or animals from dangerous, illegal and toxic ingredients and products. Take the Chinese treats, just as an example: when they investigated the four Chinese processors, they had the authority to block all imports from those companies for refusing to allow FDA investigators to take samples to the US for testing. Did they do that? Nope. In fact, US companies are still importing millions of pounds of jerky from China for pets. Does the FDA have the authority to stop it? They might, if they bothered testing the treats for drug residues — but, they don’t. Why? Because it’s not a priority. Third, the FSMA proposed rule for food for animals – is a joke. From beginning to the end of the 400+ page rule, there is nothing preventing pet food manufacturers from allowing waste into pet food or animal feed. In fact, if the food is deemed adulterated – fine, no problem. If it’s for animals – the proposed rule makes it perfectly clear how the FDA plans to “watch” over pet food. I wish. FSMA was doomed from the start when Congress allowed the FDA to modify or exempt facilities that manufacture, hold or process animal foods from the law that as it was written to protect human food. So, in my opinion very little will change and the government will continue to protect it’s trade relationship with China at the cost of pet’s health. Fourth, the FDA has known what the cause of the jerky treat illnesses has been all along. There is no “mystery”. Have they done anything about it? Nope. Will they? It is very doubtful. The US cattle industry has too much riding on keeping friendly relations with China. After all, why do you think the USDA is now allowing processed chicken from China for human consumption? Next, the USDA will allow the US to import poultry raised and processed in China for human consumption. The FDA will continue to make excuse after excuse so as not to implicate China. My suggestion to any disgruntled US manufacturer is to get involved in the rulemaking process. Attend AAFCO meetings, sit on one of their committees, get involved in FSMA meetings, make comments on the proposed rules — instead of complaining how things should be different. Chinese drywall, lead paint in children’s toys, now poisonous treats killing our pets. When will we learn? But cheaper is better, right? STOP Making the treats i China!!! We love our pets and if these companies stop being so greedy they would make them here.Instead they continue to put our loved pets in danger and keep making them in China.No one should take a chance by feeding treats fromChina !!! !